Located in the heart of the Golden Triangle neighbourhood next to Kuala Lumpur Convention Centre, the new building houses the Hotel with 209 guest rooms and suites. Four Seasons Place is part of Kuala Lumpur City Centre, a 40 hectare (100 acre) complex with more upscale shopping, fine dining and vibrant nightlife next to a 20 hectare (50 acre) urban green park. 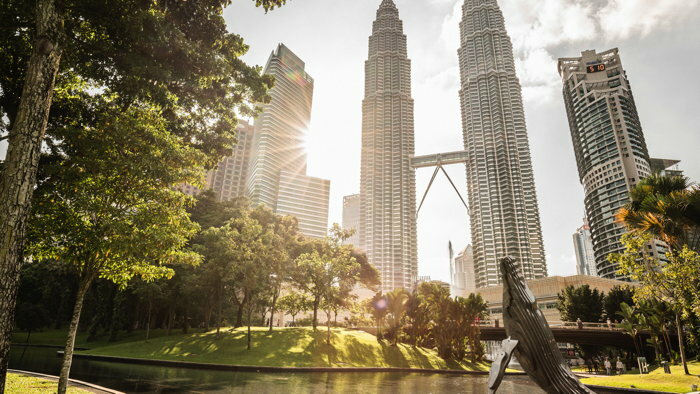 Located within a new skyscraper next to the Petronas Towers, Four Seasons Hotel Kuala Lumpur has opened its doors. Rising 65 storeys above the busy streets of the capital, the all-new Hotel is welcoming its first guests to dine, drink, shop, relax, entertain, meet and stay at Four Seasons, and for a select few, to call Four Seasons their new home. In celebration of its opening, Four Seasons Hotel Kuala Lumpur is extending an Introductory Offer featuring 15 percent savings on the regular room rate, as well as a variety of packages including the Stay Longer – Third Night Free offer, and the Incomparable Malaysia package, adding a stay at Four Seasons Resort Langkawi to the itinerary, with spending credits included in both destinations. Reservations may be made by calling +60 3 2382 8888 or booking online. Four Seasons veteran and Executive Chef Junious Dickerson oversees the Hotel&apos;s culinary program, with a half-dozen restaurants and lounges including the high-style Yun House for Cantonese specialities by Executive Chef Jimmy Wong, the chef showcase CurATE with its show kitchen, and Bar Trigona, a temple of modern cocktail culture with award-winning Head Bartender Ashish Sharma presiding.